We love curling up to our dogs no matter where we are, even to snooze next to each other when we need a good long nap to power ourselves up for the day. Beds are your comfort zone and nothing feels better then snuggling up with your dog at the end of a long day but does allowing this loving gesture create bad behaviour in your dog? How can I have my cake and eat it too? In other words, how can I enjoy snuggling with my dog but still maintain leadership in our relationship? 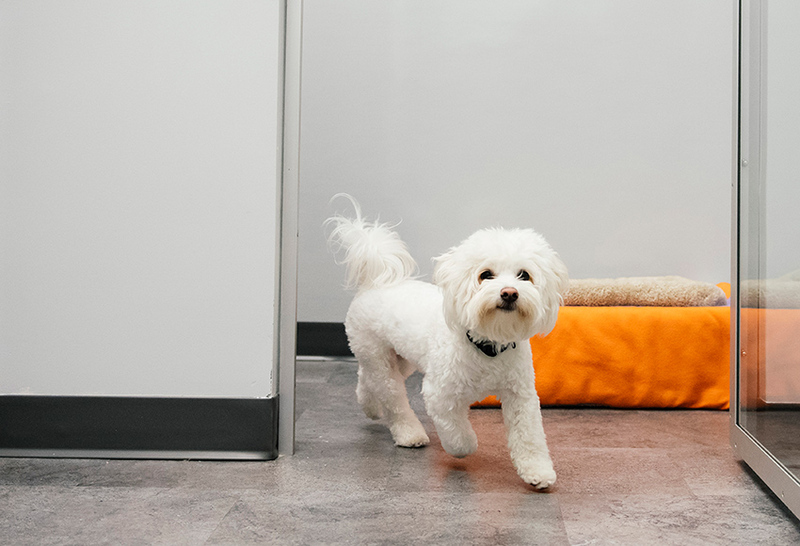 If your dog has a crate and a bed of their own, it’s back to crate training 101 with your pet. Your dog might not be happy about it, but with you as the pet parent, you are also the alpha and need to establish with your dog that they are being invited into your bed rather than letting them take ownership. Establish your personal space as Alpha: Use a command word that tells them he’s not allowed to do that. You may need to physically stop them from getting into your bed until you have invited him to do so. Your bed is your personal space, and your dog coming into your space without permission is an indication that he’s trying to establish control and take the lead. Follow through with your command: Simply telling your dog that he isn’t allowed on your bed will work some times, but you might find your dog coming back into bed a few minutes later. Keeping your dog in a space of knowing you are the leader and he isn’t, will help him back off. Redirect your dog: Redirect his attention like giving him his favourite toy or giving him a “job” that’ll make him look elsewhere or do something else will help him calm down which will give you the opportunity to introduce the crate. 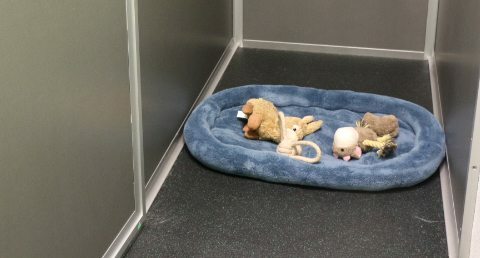 Re-introduce the crate slowly: There are times that you’ll want to have your space, but the process in getting your dog to understand that he also has a bedroom to sleep in that isn’t yours will take some time to get back into, on top of letting him into your bed as an invitation. The whining will definitely pull at your heartstrings when you get your dog back into his crate and beds because this is just like a baby crying to be picked up, but you need to be strong and persevere through it. 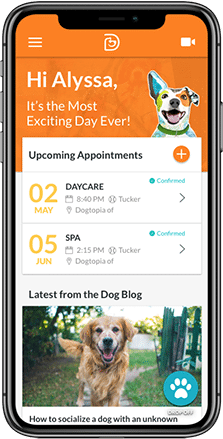 Soon enough, your dog will understand your boundaries, your leadership will be further strengthened and you can get back to enjoying each others loving company! 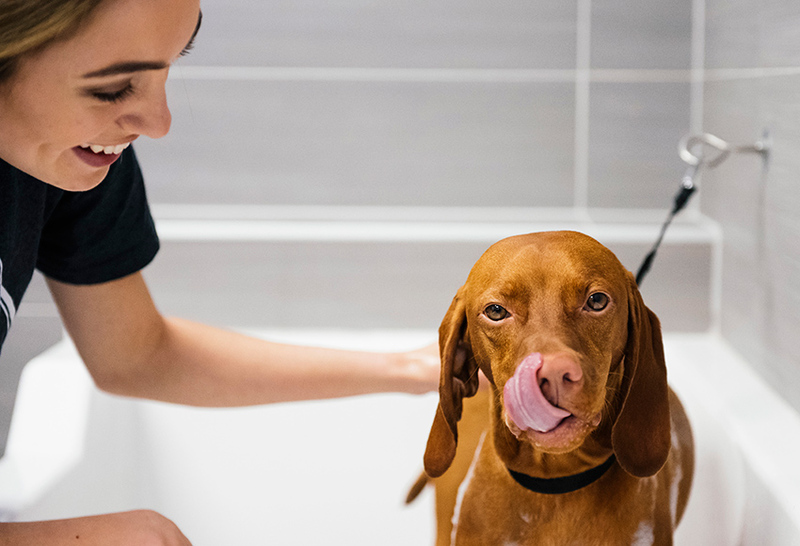 Looking for a place where your four-legged family member will receive five-star treatment? Look no further! 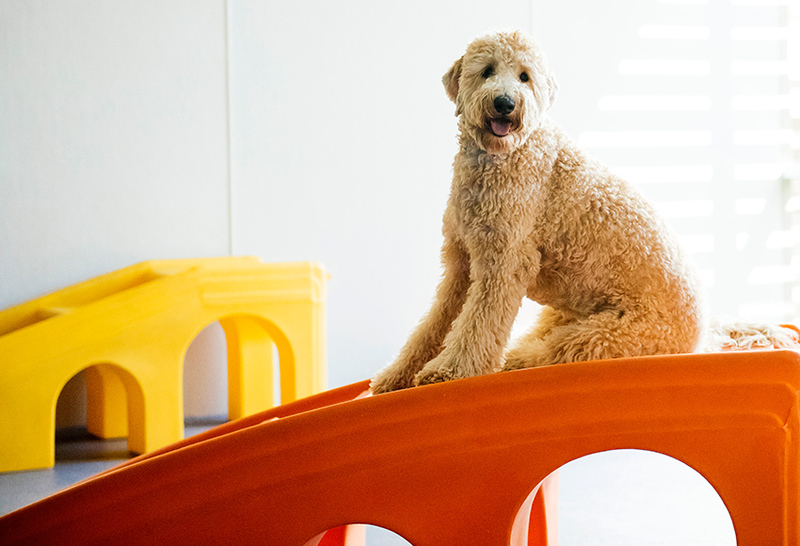 Dogtopia is an open play dog daycare, boarding facility, and spa. Basically, we’re your one-stop shop to spoil your dog! Our friendly and knowledgeable team is highly trained in providing both dogs and their parents with a safe, healthy and fun environment.